← Dragon Ball Super: Broly film early Hollywood premiere date and voice of Broly revealed! Sword Art Online season 3 streams on Crunchyroll! With October coming close, this is a good time to bundle up and watch some shows. 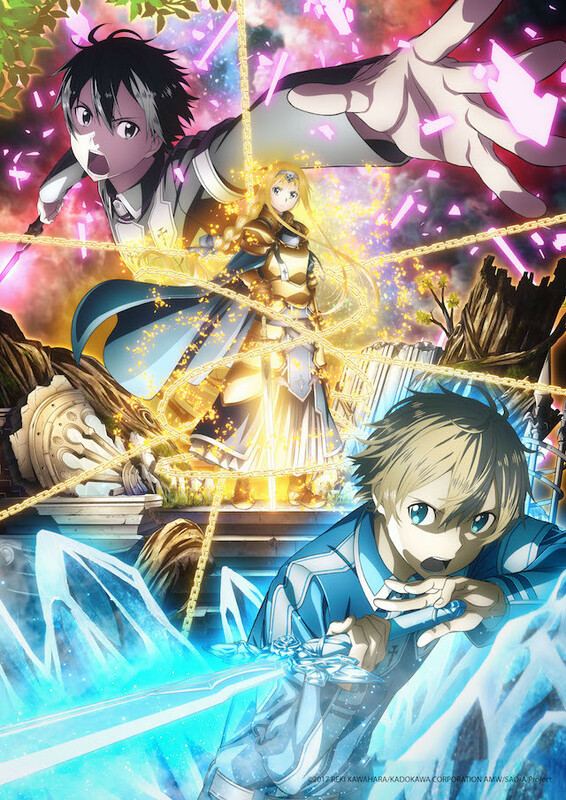 This also means that the third season of Sword Art Online, also known as Sword Art Online: Alicization, will be up and running online for fans and viewers. It’s been confirmed that the new season will be streaming on Crunchyroll! This anime will have up to 50 episodes and it’s going to be focused on the longest arc of the series. The anime will be adaptaing volumes 9 through 18 from the light novel. The anime is expected to be on Chuncyroll on October 6th. If you are going to binge watch, you should do it! Watch the two seasons, Extra Edition (even though it’s just a recap lol) and the movie. This might be the only anime I am going to be watching this season lol. Oh really? What a surprise lol! I hope this second chance will change your mind. Sometimes it is best to give things a second chance to like something, but if it doesn’t that’s okay ;). Based on the trailers, it looks like Kirito is going to be in a whole new adventure with new characters. Very excited this is going to be on Crunchyroll. Really looking forward to it.